Two words: wireless earbuds. If there has been one product one that’s absolutely exploded in the past few years, it’s probably been these little buggers. And, since Apple released their AirPods, the competition has become increasingly sophisticated. 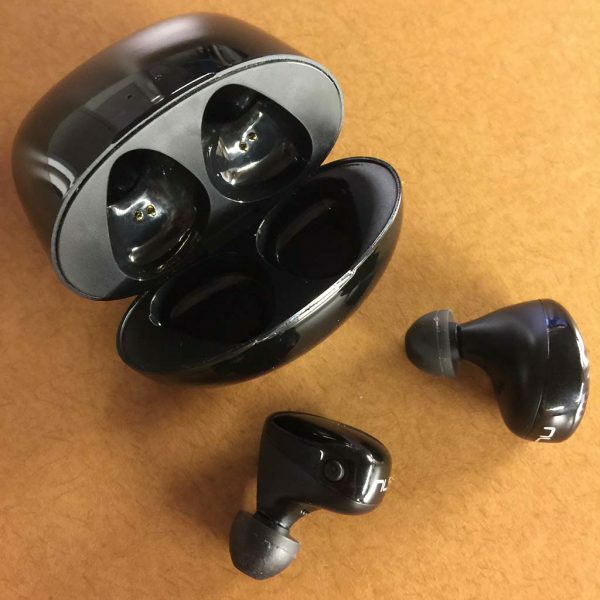 I’ve had the opportunity to review several wireless earbuds here at The Gadgeteer, and always up for trying out another if they look interesting in some way. 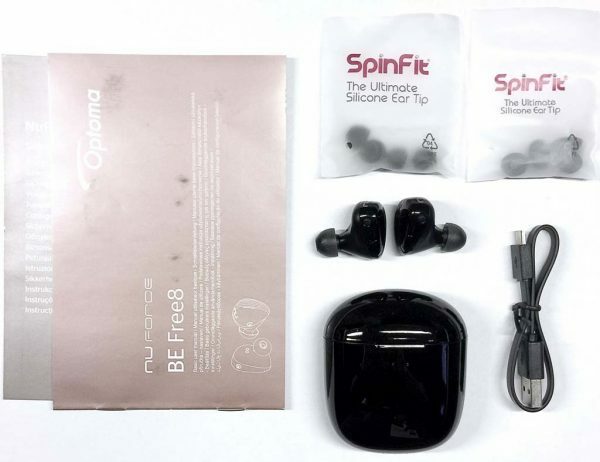 The Optoma NuForce BE Free8 Bluetooth wireless earbuds had a few things going for them: an interesting look, a cool charging case and I’d already reviewed a few Optoma earbuds in the past and been generally impressed with them. How would the BE Free8 earbuds fare? Let’s find out. Gadget on! 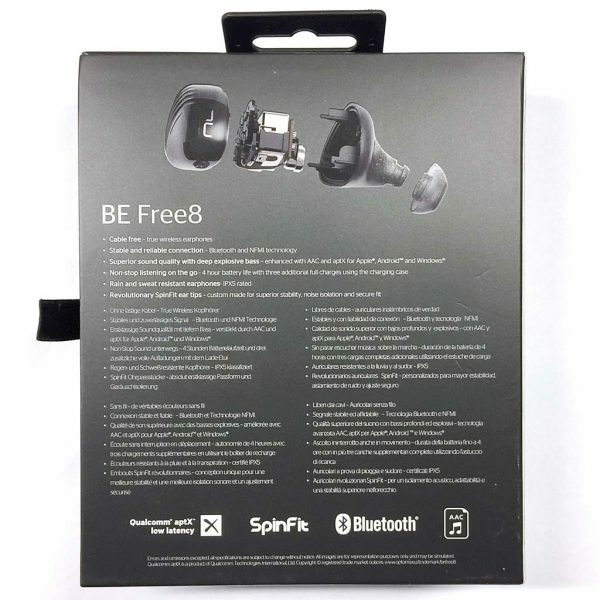 The BE Free8 packaging was very sophisticated and upscale. Outside, images and descriptions of the product. 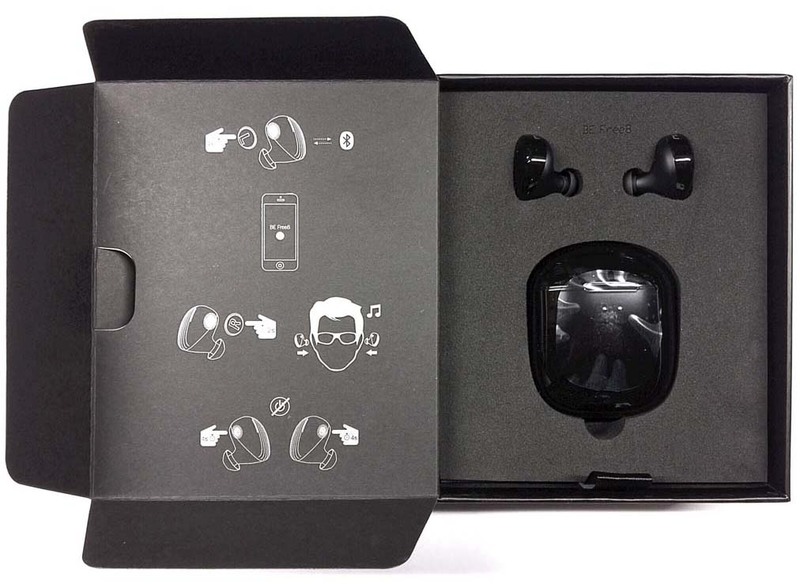 The rear of the package had an exploded view of the guts of the earbuds, and a list of features. The inside packaging included a quick-start style diagram, and the earbuds and battery case were snug in a black foam block, with the accessories and instruction manual underneath. 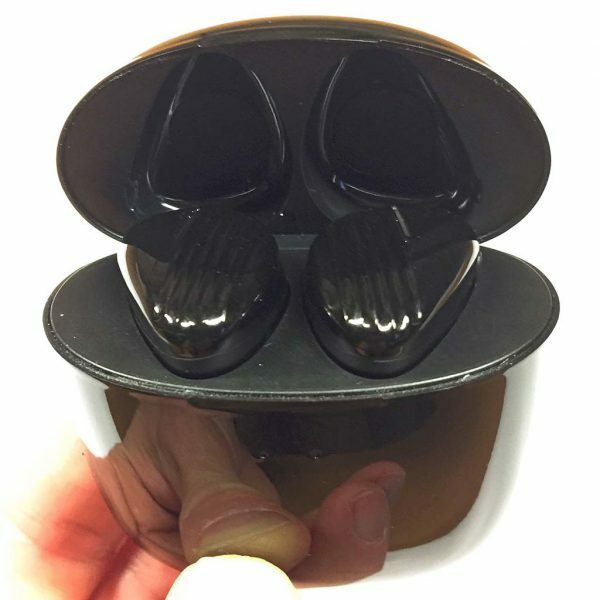 The BE Free8 included two types of their SpinFit ear silicone tips, all of which are shown in the image above. On the left are three sizes (extra small, small, medium) of longer/deeper style tips, and on the right are two sizes (small, medium) of shorter/shallower tips. Because of my past difficulties with keeping earbuds in my ears, I went straight for the largest, deepest tips, the ones shown to the far left in the image above. Installing the earbud tips onto the bases was simple, and once installed, I played around with the best way to orient the BE Free8 in my ears. They have an interesting form factor: a generally triangular shape, but quite rounded and with a bit of a lobed contour. Due to this, I was skeptical that they’d fit in my ears, and if they did, that they’d stay there. In fact, I was pleasantly surprised. After I got the SpinFit tips into position, rotated the BE Free8 around a bit until they fit snugly into my outer ear. The SpinFit tips didn’t really seem to be anything particularly special compared to the many other audio headgear I’d tried previously. They are round and made of soft, compliant silicone, and in fact, I’d even tried other earphones that included both short and long tips. However, the combination of the SpinFit tips and the overall shape of the BE Free8 and how they fit into my ears seemed to help with ambient noise blocking. This, coupled with the AAC and aptX LL enabled the BE Free8 to them deliver some really good sound. 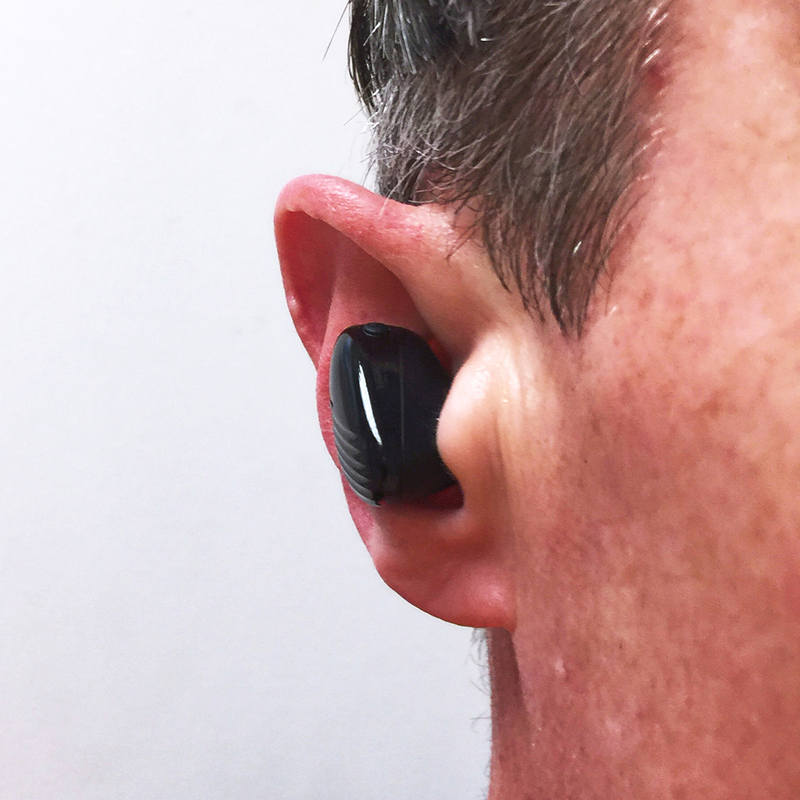 The BE Free8’s controls are limited to a single, tiny button on each earbud. And when I use the word “tiny,” I mean it—these soft buttons are only a few millimeters in diameter. For this reason, I found them difficult to locate when I reached up to activate one of the BE Free8 controls. I had to basically feel my way around the earbuds until I located them. I thought I’d get used to this after a while, but even after using the BE Free8 for several weeks, this wasn’t the case. 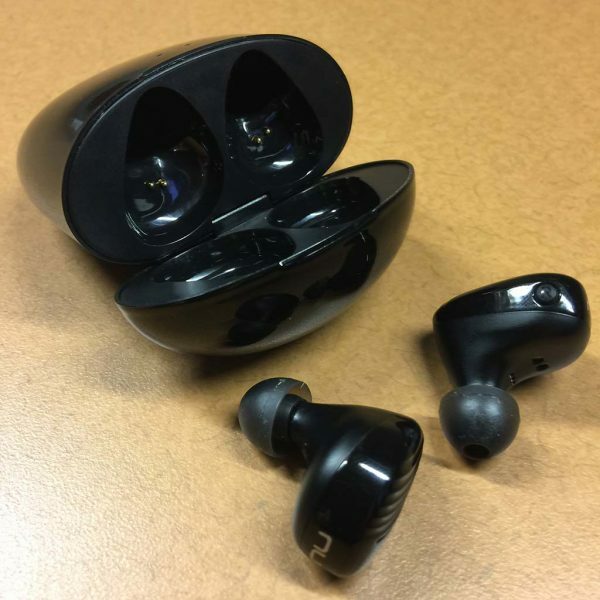 Additionally, I would mention that the only indication of which earbud was left or right was a tiny letter “L” and “R” on each of the tiny buttons. These letters on the buttons were harder to read than the buttons themselves were to find while wearing them. I found all of this to be a bit of an ergonomic fail. The buttons themselves control such features as audio pause/play, track advance and Siri (0r Google Assistant) activation in normal mode, or answer/ignore/hang up a call when in phone mode. The BE Free8 touts an IPX5 standard water- and weather-resistance rating. I can’t exactly test for strict adherence to this standard, but I can vouch for the fact that I used the BE Free8 during exercise, and they didn’t seem to be affected by the…ahem…generous amount of sweat I typically generate during a strenuous workout. If they can pass my workout sweat test, that’s more than good enough for me. The BE Free8 includes a sleek-looking charging case. This case is gloss black with a bit a teardrop shape and looks to me like something a Sith Lord or ninja would favor. Which is very cool. The case has a flip-open, spring-loaded lid and there are two charging pockets that the earbuds fit down into, with each pocket including tiny charging contacts. 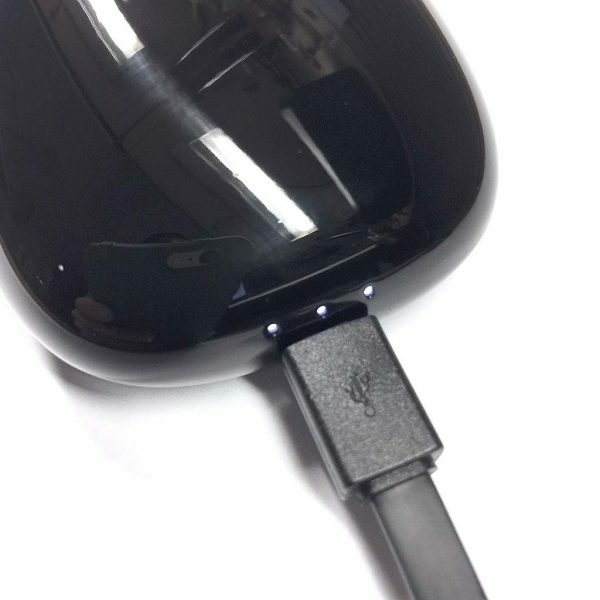 Above, the flat, ribbon-style micro USB cable has been plugged into the battery case so that the case can be charged. There are three tiny, white LEDs that illuminate left to right to indicate the charge level of the case. Optoma claims that the earbuds themselves will provide 4 hours of usage on a full charge, while the charging case adds an addition 3 extra earbud charges for a total of 16 hours of battery life between the earbuds themselves and the charging case without having to recharge anything. I think that’s theoretically possible, but this brings me to a difficulty that I had with this product, which I detail below. 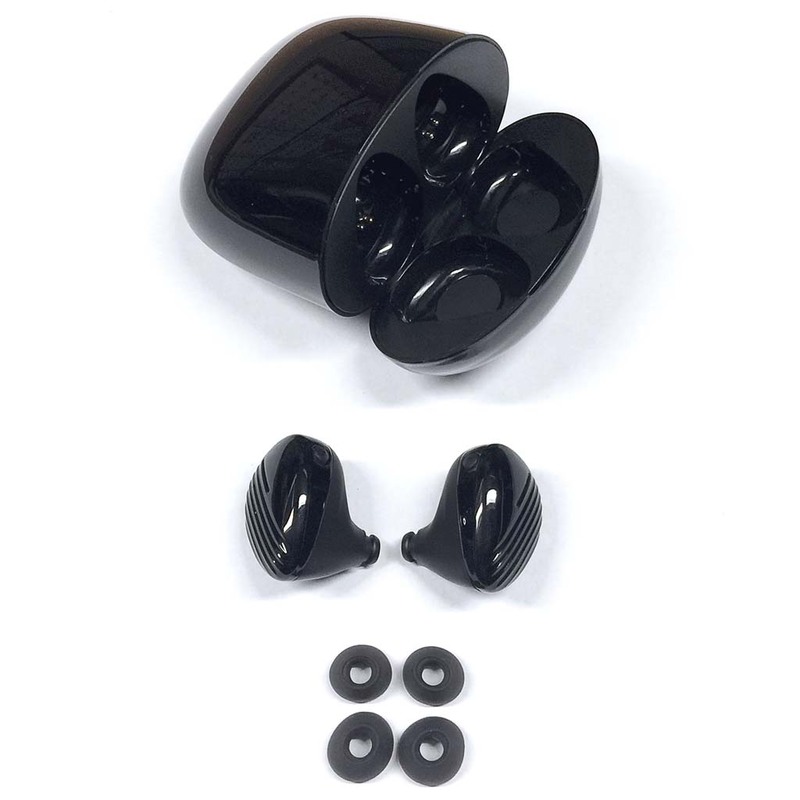 When I placed the earbuds into their charging pockets and closed the lid, I was never quite sure that the earbuds were fully seated onto the charging contacts, even with the lid closed, which should have pushed the earbuds down and held them onto the contacts securely for charging. The result was that I don’t think the earbuds were always being charged while in the charging case, which limited the battery life of the earbuds. After analyzing the situation, I think that this was caused by the use of the largest, longest earbud tips. 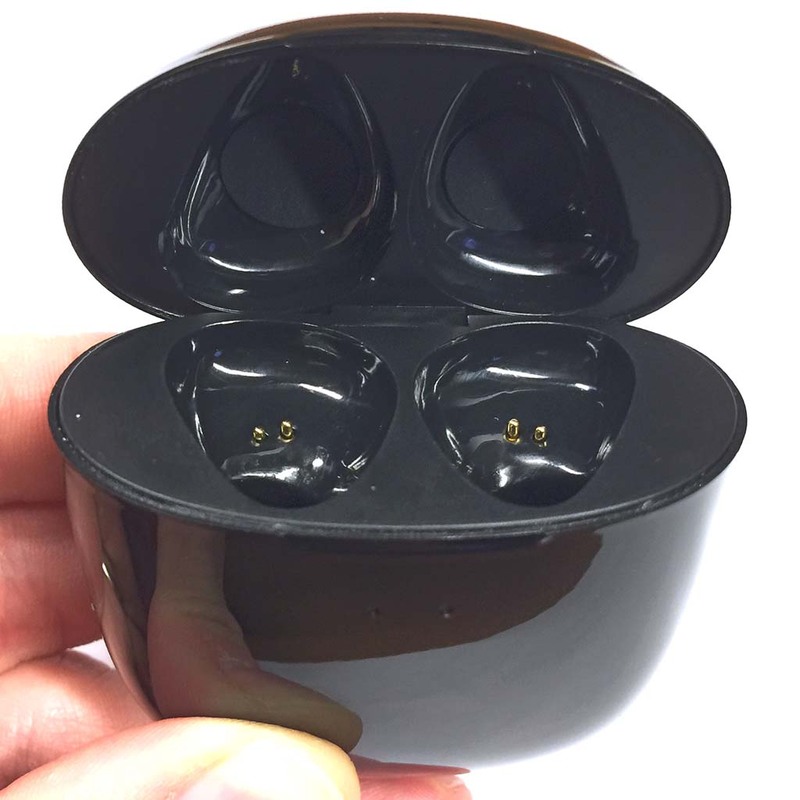 The size of these tips seemed to make the earbuds more difficult to insert into their charging pockets—they didn’t seem to fully seat, even with the lid closed, which may have prevented the earbuds from charging. If using any of the shorter and/or smaller earbud tips, this didn’t seem to have been a problem at all. Initial pairing of the BE Free8 to my iPhone 6 Plus was quite simple. Pressing each of the tiny earbuds and holding for about 6 seconds put them into pairing mode. I then just selected “BE Free8” and boom, they were paired. However, they did not seem to want to remain paired. About every third time I removed the earbuds from their charging case, they needed to be re-paired with my iPhone all over again. This became very annoying. 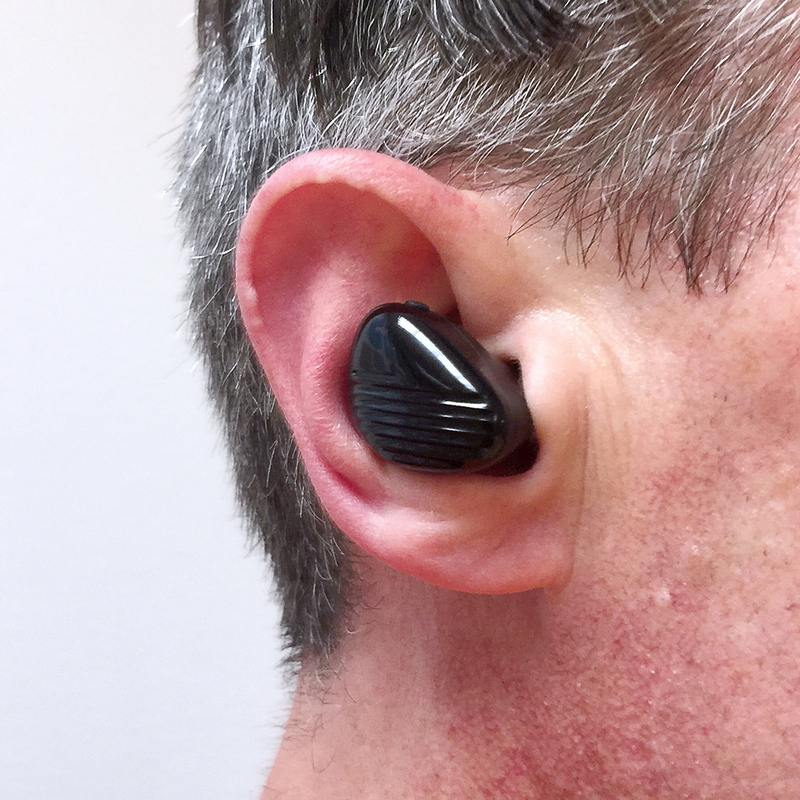 Optoma touts Near-Field Magnetic Induction (NFMI) technology for a reliable connection between the earbuds, with a range of at least 33 feet, and I did find that to be the case. Aside from a second or two of unexplained static here and there, I very seldom lost connection with my iPhone, and I don’t recall ever losing the connection between the left and right earbuds. The Optoma NuForce BE Free8 Bluetooth Wireless Earbuds were a bit of a mixed bag for me. I found their high gloss black styling to be very cool looking, including both their battery case as well as their charging case. Speaking of the charging case, it seemed to generally work well, but occasionally one or both of the earbuds would not charge fully, I suspect due to the lid not completely closing. Their sound was good, and they held a charge for a very serviceable amount of time, even longer using their battery charging case. They fit fairly well in my ears, provided that I was able to get them positioned just right, but I did have to re-adjust them occasionally, and I also had to re-pair them more often than I would have liked. 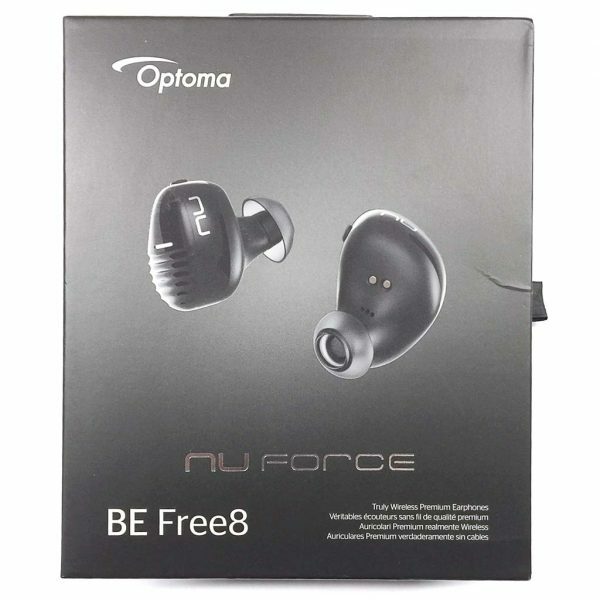 Overall, the Optoma NuForce BE Free8 Bluetooth Wireless Earbuds have great styling, good feature set and sound, but at $149.00 they seem a bit pricey considering their shortcomings. Source: The sample for this review was provided by Optoma. Michael, thanks for sharing that link. 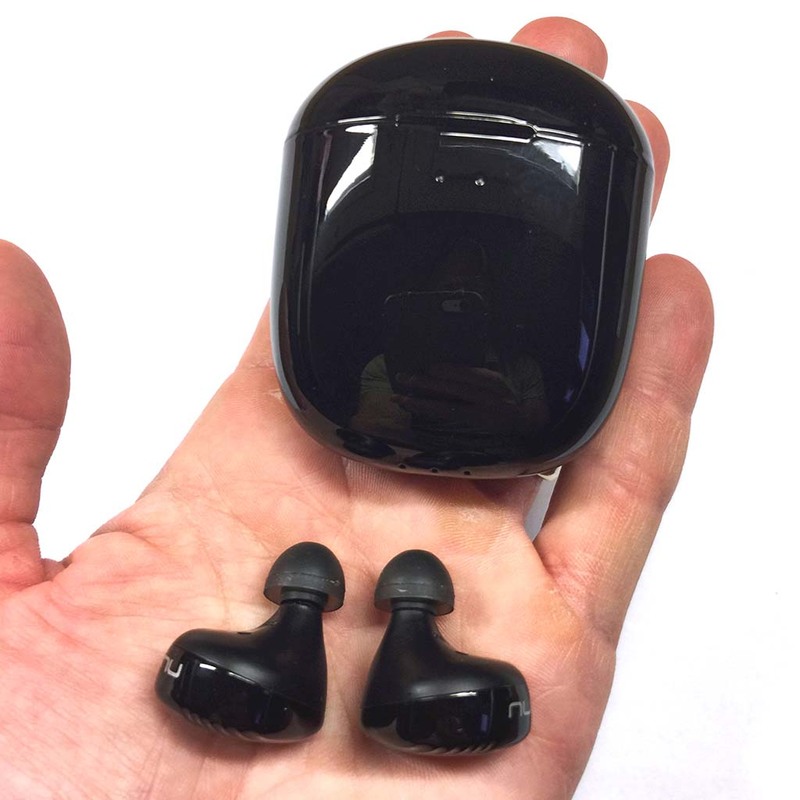 I checked it out and the Axum earbuds do look interesting. If the Axum folks would like to send a pair for us to review, I’d be all ears (pun thoroughly intended)!